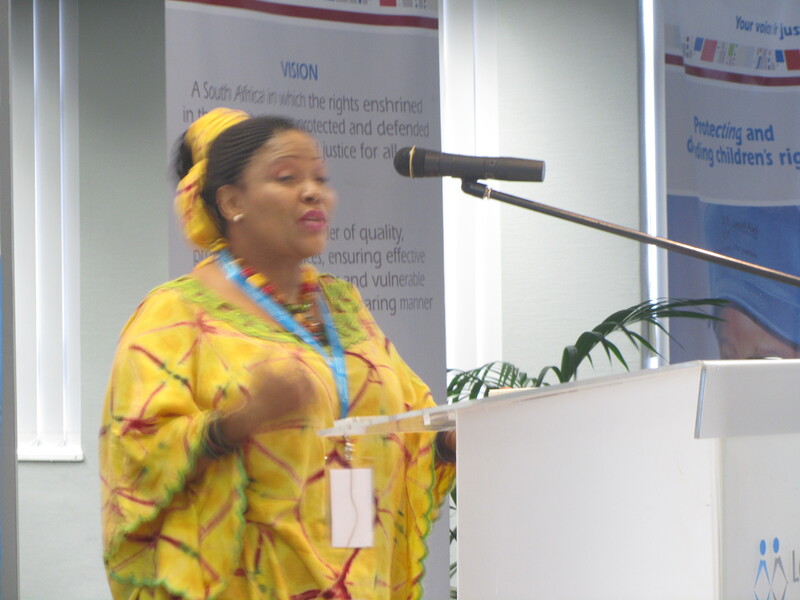 Glory Legodi shares her personal experiences with poverty and the maintenance regime at the child support and maintenance colloquium. Glory is not alone. It is the plight of single mothers and their children across South Africa. Another single mother shared her near-death experience with suicide – what she saw as the only alternative to her and her son’s struggle with poverty. Filled with tears and emotion, she could barely return to her seat after sharing her heartfelt story. The laws for maintenance are on the books, the courts have been established, and the women are waiting in cue–but the system is failing them. On Tuesday, March 7, the Impact Litigation Unit hosted the “Child Support and Maintenance Colloquium.” It’s something I’ve been organizing since my first week of arriving in South Africa. Over the course of the past five months I’ve met with a wide variety of stakeholders–including members of non-government organizations, academics, government actors, claimants, court workers and public interest advocates. The aim was to host an open forum and strategy workshop on issues relating to child support and maintenance and to create a working group to address the challenges. The shared belief of all those in attendance on Tuesday was that the child maintenance system is failing South African children and women. Those in attendance discussed the possibilities for legal reform, the problems with the implementation of the current regime, and the pros and cons of mounting a constitutional challenge which may oblige the government to respond. 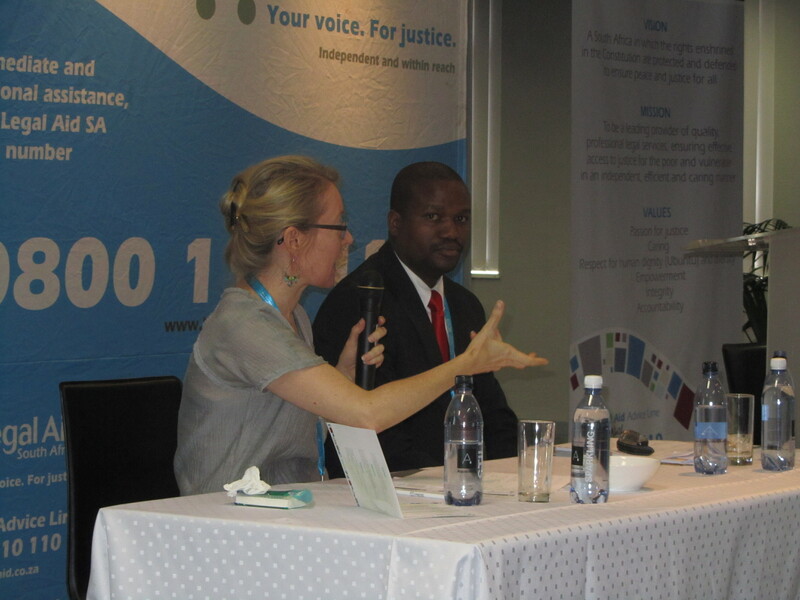 The colloquium was widely attended and included representatives from Tshwaranang Legal Advocacy Centre, the Women’s Legal Centre, the Legal Resources Centre, the Department of Justice, the Foundation for Human Rights, the Law Reform Commission, Wits University, and the Market Street Court, among others. Lisa Vetten, Executive Director of the Tshwaranang Legal Advocacy Centre, speaks about numerous case studies and the hardships facing single mothers in South Africa. The enthusiastic involvement of all those who attended the colloquium was encouraging. Of course, like any advocacy project there were numerous disappointments throughout the planning process – numerous government actors gave us the cold shoulder and UNICEF refused to answer dozens of phone calls and e-mails requesting their participation. Nonetheless, by all other accounts the colloquium was a success – a fruitful discussion was had; a working group has been established; and a short term strategy has been adopted. During my lunch break on Tuesday, I was speaking with a representative from the Women’s Legal Centre. She was telling me how nice it must be to see a project completed to the end since foreigners often come and go before the results of their work are realized. As my time wanes in South Africa, it is true that it’s nice to have seen this project through to the final stages of development before I part. Nonetheless, the colloquium was only meant to be the beginning, the commencement of a much larger project. As much as the results of the colloquium are satisfying, I do hope that it leads to something meaningful in the long-term for the great number of women and children that are adversely affected by the shortcomings of the system.